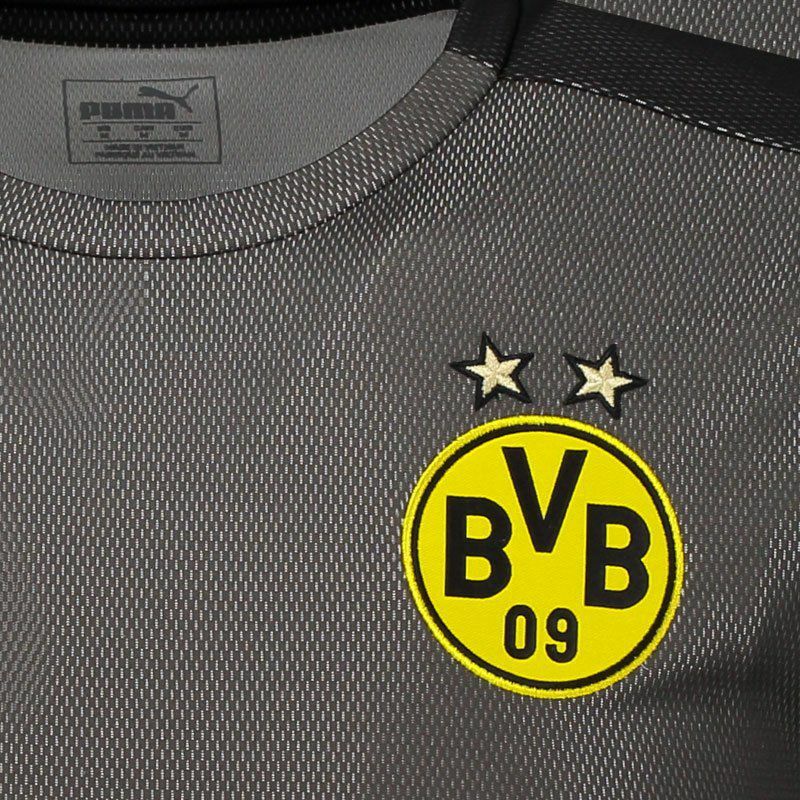 To demonstrate your love for Borussia Dortmund, Stadium Jersey, produced by Puma, is made of light and sturdy polyester, comes with the Dry Cell technology and offers name and number customization. More info. 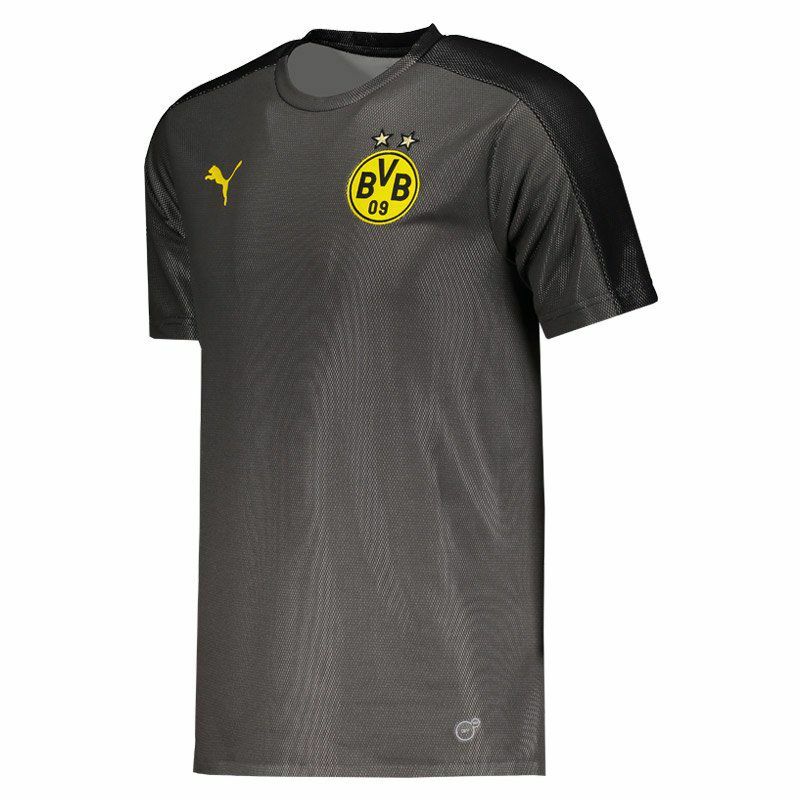 To demonstrate your love for Borussia Dortmund, Stadium Jersey, produced by Puma, is made of light and sturdy polyester and comes with the Dry Cell system, which contains functional materials that keeps the sweat away from the skin and keeps you dry and comfortable. 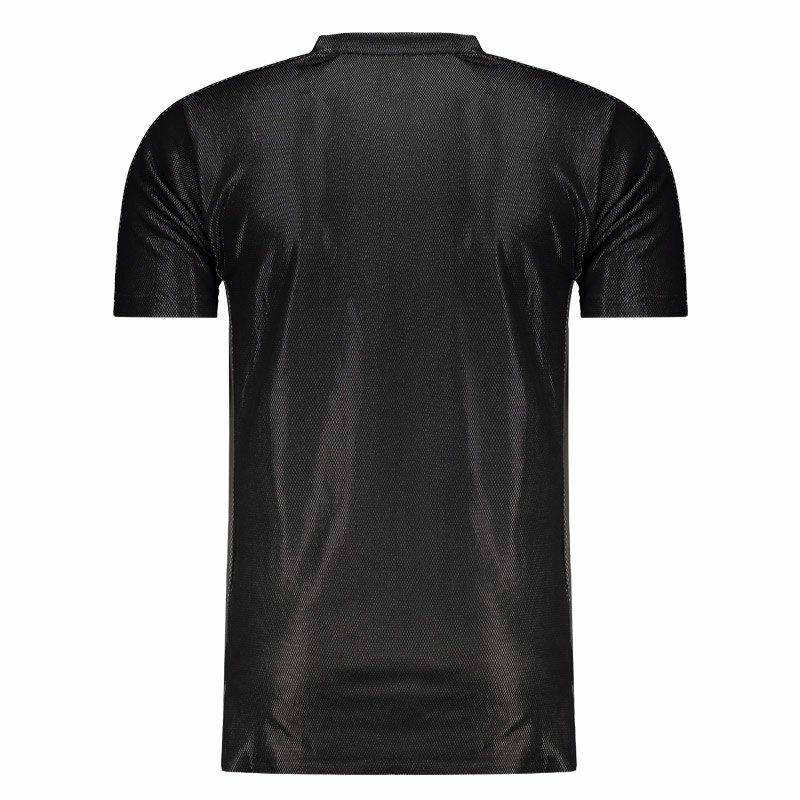 With slightly higher trim on the back, its design features the black color on the back and dark gray on the front, with metallic finish. On the left side of the chest, the team's badge is present, embroidered. Finally, on the sides, comes with a small opening that helps in the flexibility of the movements. Get it now!